One of my favorite meals is fish tacos. There’s just something about their taste that makes them one of the best ways to prepare fish. 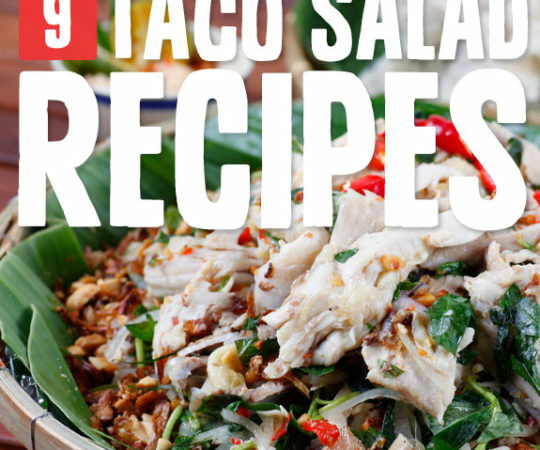 They also make a nice change-up from beef or chicken tacos, while still providing protein and plenty of flavor. 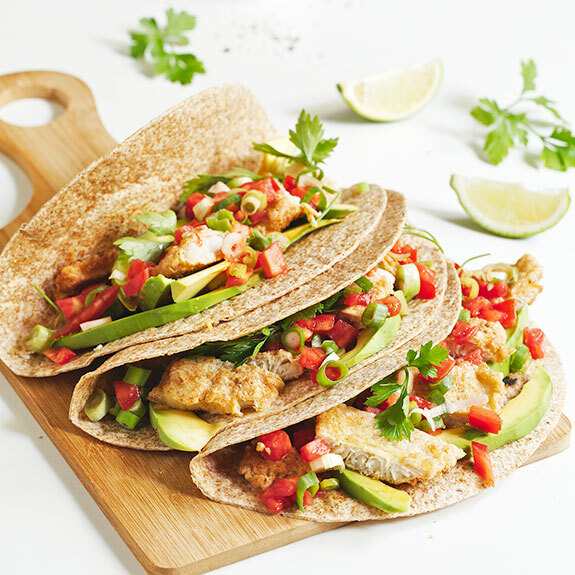 The fish seems to enhance the tacos and add more flavor to the meal rather than getting lost among the other ingredients. The first step in getting these right is to give the fish a nice crispy outer coating. That can be tricky when all-purpose flour is off the list of usable ingredients. What I’ve found is that a combination of flax meal and sesame seed flour produces just the right result with no grains used at all. Not only that but you’re getting the nutrition from the flax and the sesame seeds. Bonus! Grab a bottle of avocado oil if you don’t have any on hand. 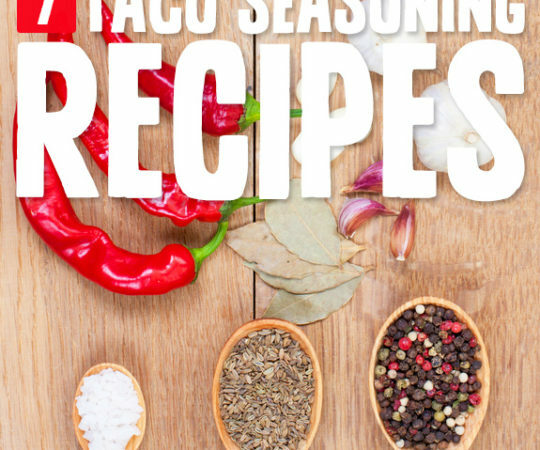 It’s pretty much the secret ingredient that makes these tacos taste so good. More than any other oil I’ve tried, avocado oil has the quality of adding a new flavor dimension to the food that you cook in it. 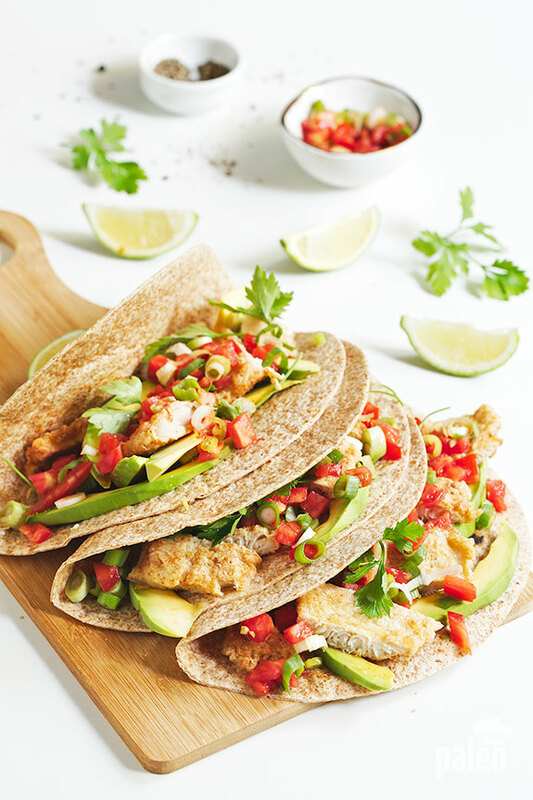 It doesn’t make a whole lot of sense to go through the process of making the fish Paleo friendly if you’re just going to put them on ordinary tortillas. There’s instructions below for making delicious tortillas that are made from almond flour. One of the best features of almond flour is the fiber it provides. 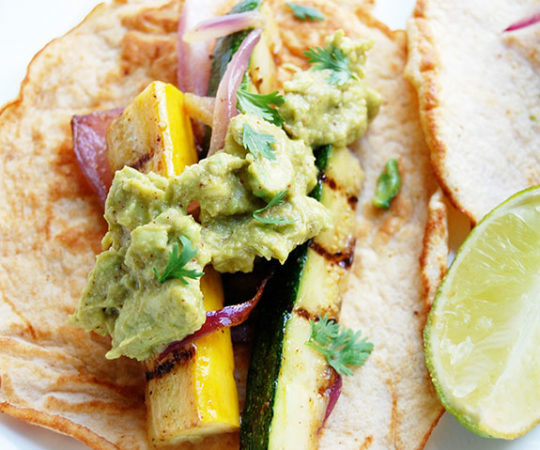 When combined with the fiber from psyllium husk powder these tacos are a fiber powerhouse. Fiber is an important factor since it keeps your digestive system moving and is essential to maintaining a healthy weight. 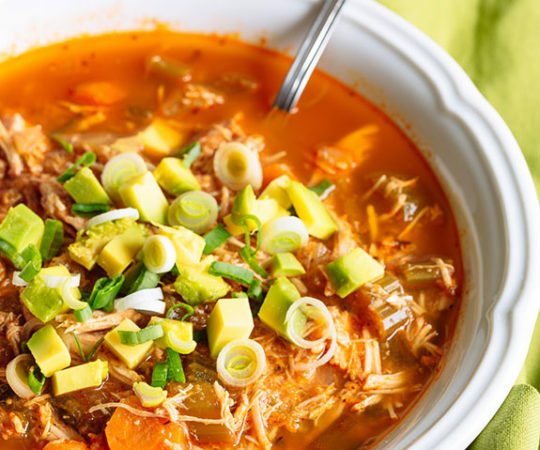 It’s really fun cooking the Paleo way because you not only make food that looks and tastes like the foods you already love, but you inherently make it healthier from the ground up. So instead of your favorite foods working against you and making you feel guilty, you feel good about eating them which creates an upward positive spiral of weight loss and well-being. 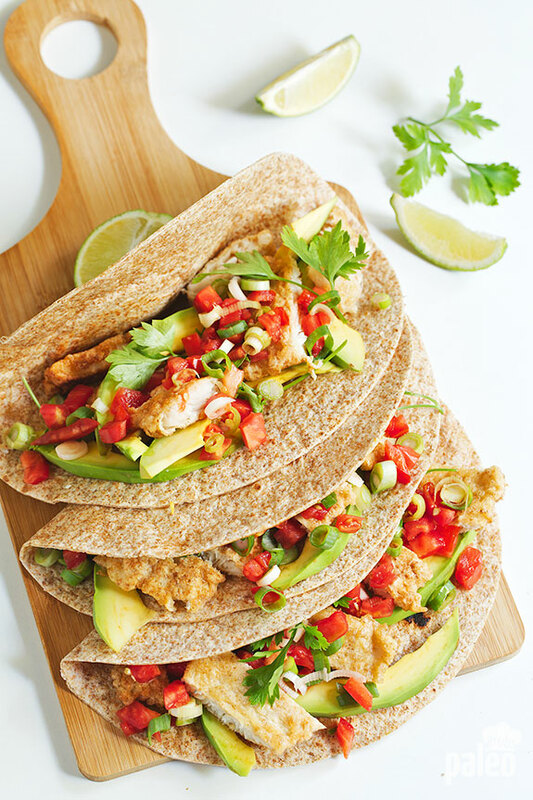 These fish tacos are a great way to feed just a few people or the whole family because you simply increase the recipe to accommodate however many people you have on hand. They’re sure to enjoy it, especially if they are big fish fans. To make the salsa in a small bowl combine the tomatoes, spring onion, garlic and chili. Season with salt to taste. Set aside. To prepare the fish, in a plate mix flax meal, cayenne pepper, garlic powder (if using) and pinch of salt. Mix well to combine. Cut the fish fillets into 5 inch long pieces and pat them dry well with paper towels. Season with salt and set aside. In a pie plate combine the egg, sesame seeds flour, baking powder, small pinch of salt and sparkling water. Mix well to combine. Press each fish fillet into the flax meal mixture and shake off the excess, then dip each one in the batter. Pour oil to depth of 1/2 inch in a large skillet and heat it over medium-high heat just until it's nearly at the smoking point. Fry the fillets, in batches, 2 minutes per side or until golden brown. Remove cooked fillets from pan and place them on paper towels to drain. Set aside. 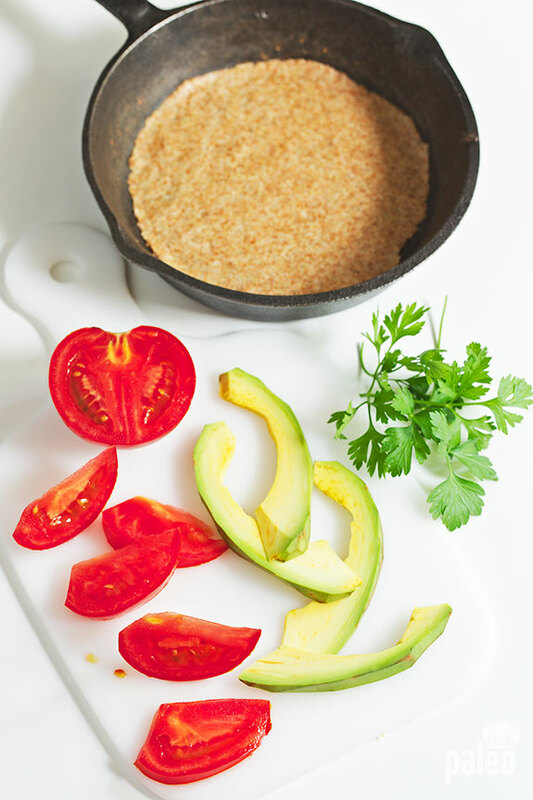 To prepare the tortillas, in a medium bowl combine the almond flour, psyllium husk powder, baking powder and salt. Add beaten eggs, olive oil and sparkling water. Mix well to combine. Let it rest for 2 minutes. Divide the dough into 8 balls. Place each ball of dough between two pieces of greased baking paper and using a rolling pin, roll out to a flatten 6 inch round. Preheat a non stick pan or cast iron pan brushed with olive oil over medium heat and bake tortillas for 2 minutes per side until lightly browned. Cut the fish fillets into bite size pieces and divide it among the tortillas. 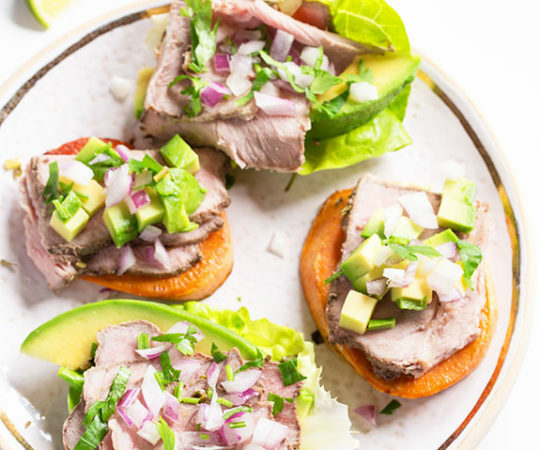 Garnish with avocado slices, tomato salsa and cilantro or parsley springs. Season to taste with black pepper and salt and serve with lime wedges. This looks fabulous!! I’m super excited about the tortillas. I’ve never made fish racks and I’ve only eaten them once. I have a couple questions just to be sure I’m on the right track. First, would sole be a meaty enough fish for this or should I try to find another kind? We don’t have a lot of options and frozen is more economical. The original reason for this post is to ask about the cooking of the tortillas. I would assume because it’s in a frying pan and there’s no mention of an oven temperature that the ‘baking’ would just be in the pan. Is there a lid needed to retain moisture? 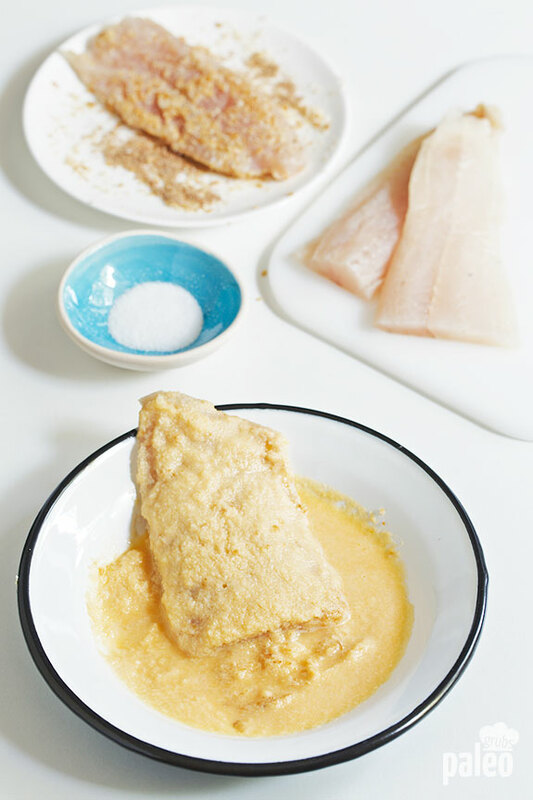 You can use sole or any frozen fish fillets you can find. My personal favorite is the cod. I apologize for the incorrect terminology. 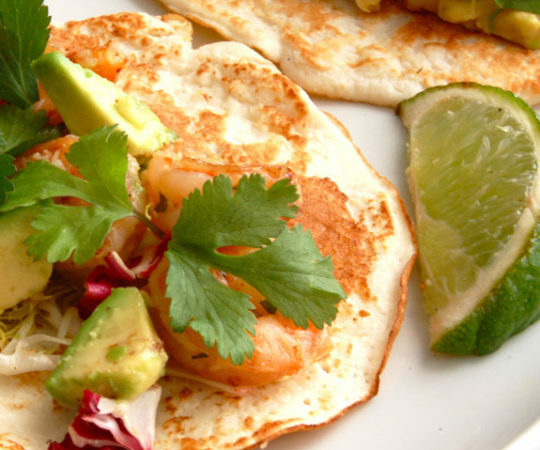 Tortillas are cooked in the same way you would cook pancakes. Is there anything I could substitute the psyllium husk powder for? Would arrowroot work? Sorry Lucy, there is no substitute for psyllium husk powder in this recipe. I don’t understand the significance of the sparkling water. Can You tell me why or if plain water will work? Thank You for the AWESOME recipe!! Sparkling water, because of carbon dioxide and mild acidity, will make tortillas fluffy. What flour can I use for someone who us allergic to almonds?? You can substitute almond flour with sesame seed flour or pumpkin seed flour. 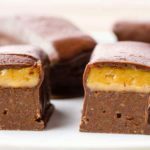 Have you evet tried this recipe with flax eggs? I am allergic to eggs and wondered if it would work before wasting ingredients. Thanks for another delicious recipe! If you make several tortillas in advance to last throughout the week, do they keep well in the fridge? How about the freezer?